Suzuki Motorcycle India today launched the 2019 style upgrade (read-refresh) for Suzuki V-Strom 650XT. The adventure tourer motorcycle now comes with new graphics and some additional features including hazard lights and side reflectors, adding to the motorcycle’s visibility in low-light, low-visibility conditions. The Suzuki 650XT is considered a reasonably priced do-all motorcycle with a special focus on off-roading capability. The motorcycle can take both highways and broken trail in its stride with equal ease. 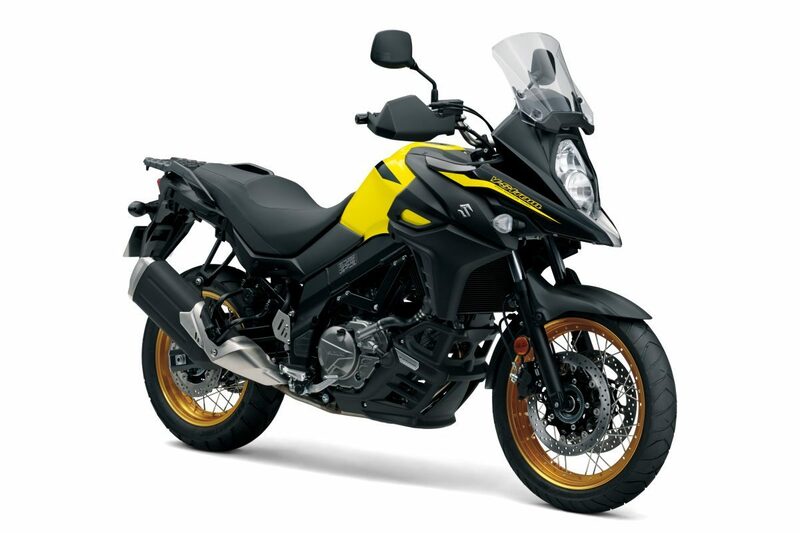 For the 2019 version, the V-Strom 650 XT ABS is available in 2 colour schemes – Champion Yellow No.2 and Pearl Glacier White. The 2019 Suzuki V-Strom 650XT ABS is equipped with a four stroke, liquid-cooled, DOHC engine with 645cc displacement and a 90° V-twin layout, making it a capable middleweight adventure bike. The bike also gets fuel injection and a lightweight Anti-lock Brake System (ABS). There’s also a three-mode traction control system (2 Mode + OFF Mode) on offer, that ensures finer control over the engine and prevents rear wheel slip in conditions where traction isn’t sufficiently available. The new Suzuki V-Strom 650XT is priced at INR 7,46,000 (ex-showroom, New Delhi).